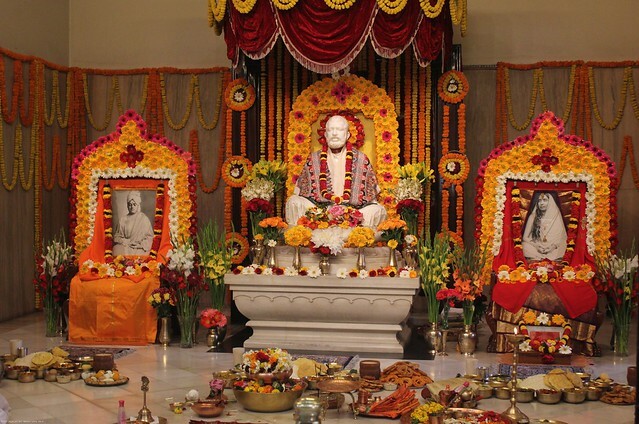 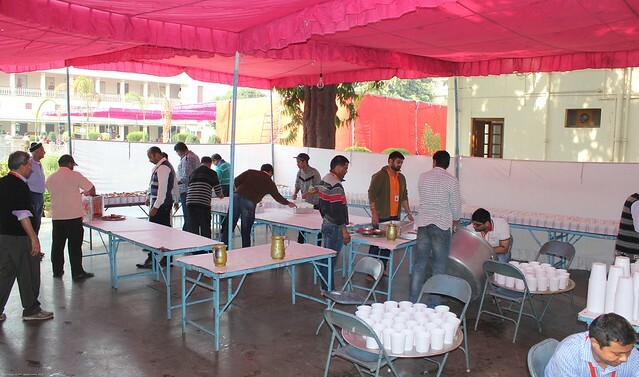 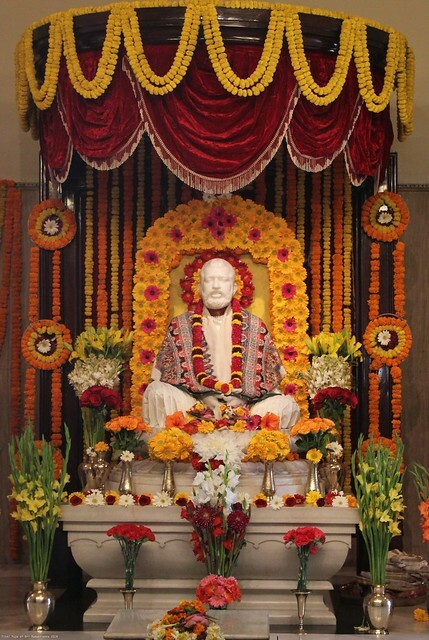 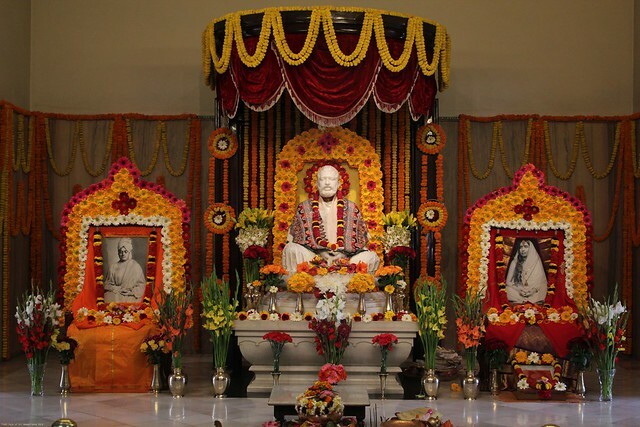 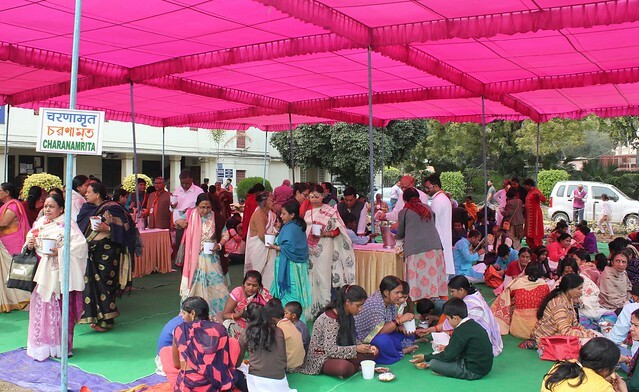 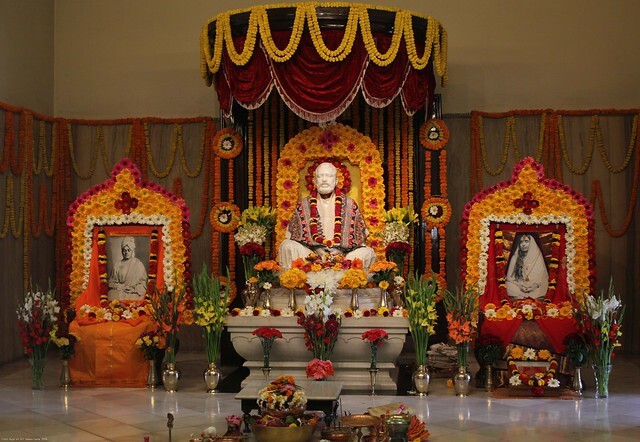 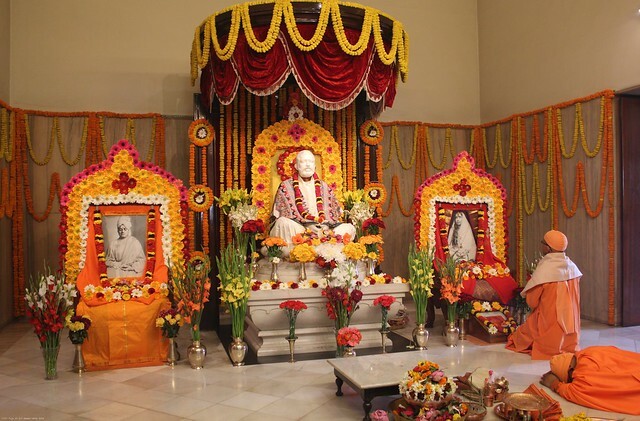 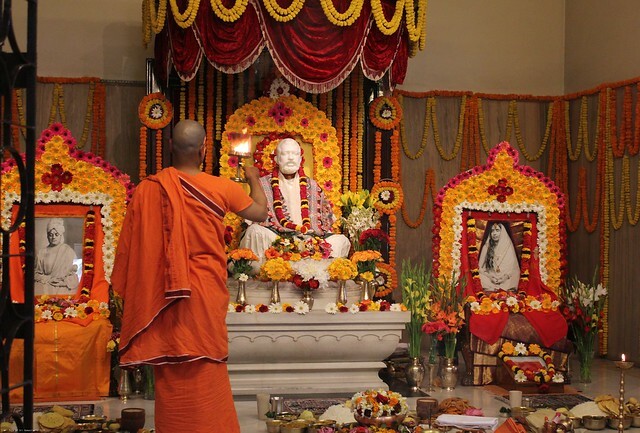 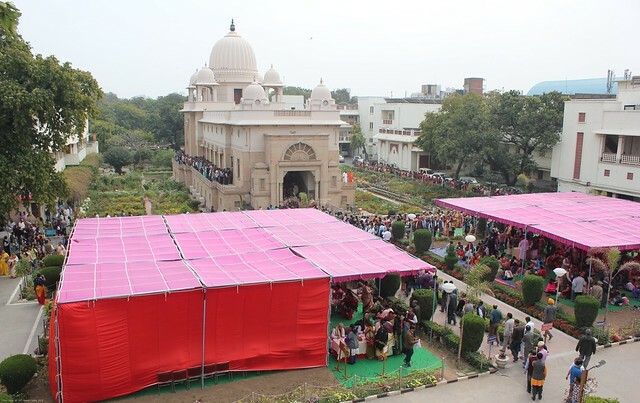 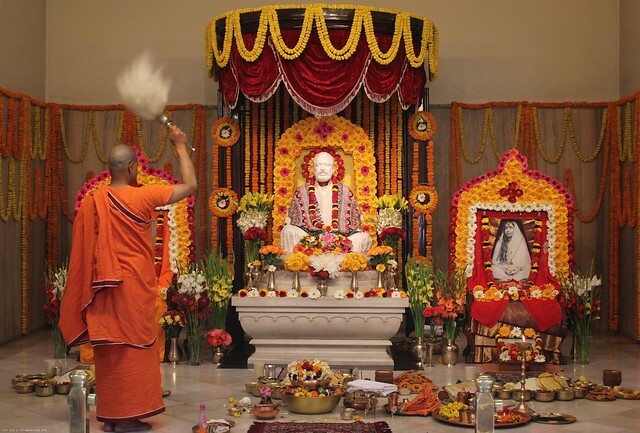 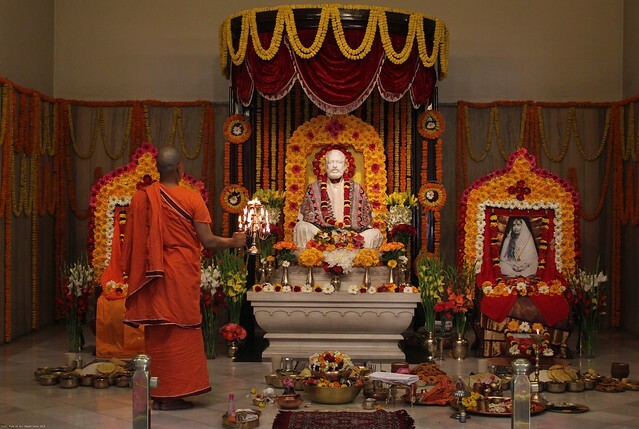 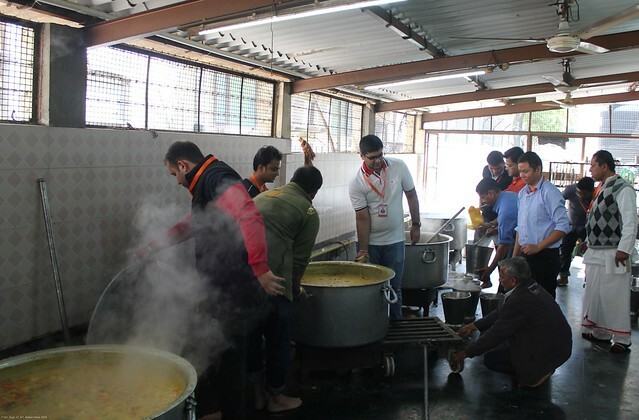 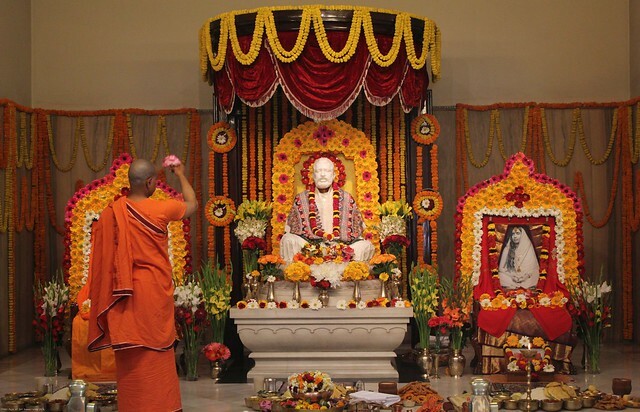 The Ramakrishna Mission, New Delhi, celebrated the 184th Birthday Tithi Puja of Bhagwan Sri Ramakrishna on Friday, the 8th March, 2019. 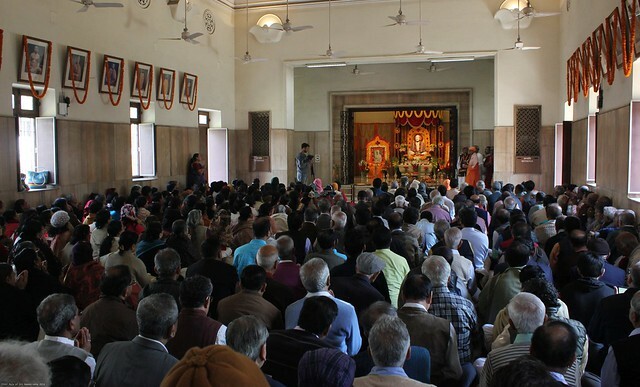 The day began with Sehnai recital at 4.30 a.m. when the gates of the Temple were opened for devotees. 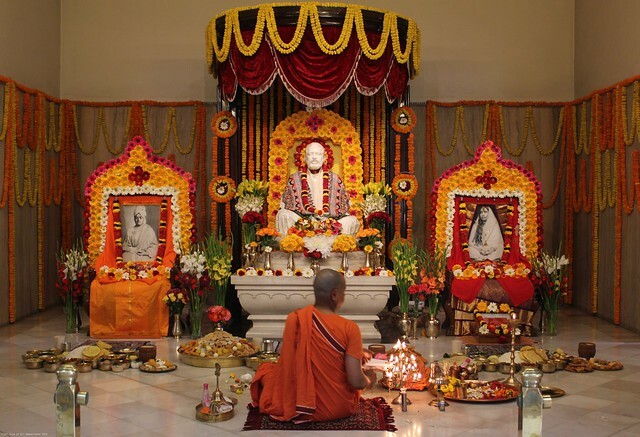 At 5.00 a.m. with the blowing of the conch shell, Mangalarati was performed by Swami Amritamayanandaji Mj . 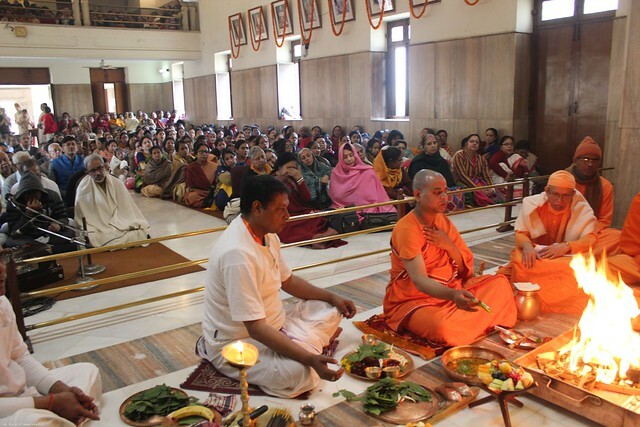 After Mangalarati was over, Vedic chanting was done by monastics. 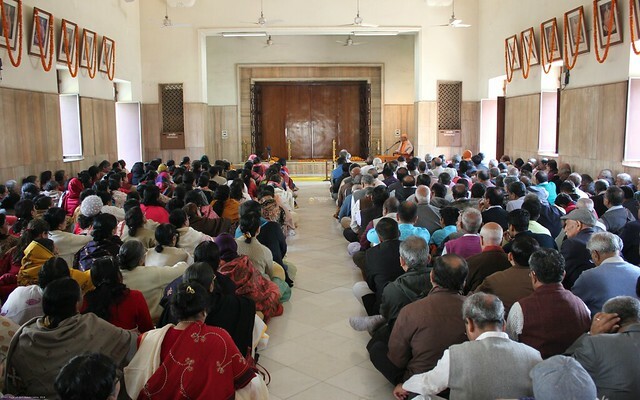 This was followed by Usha Kirtan led by Revered Swami Shantatmanandaji Maharaj and all the devotees were filled with high devotional spirit. 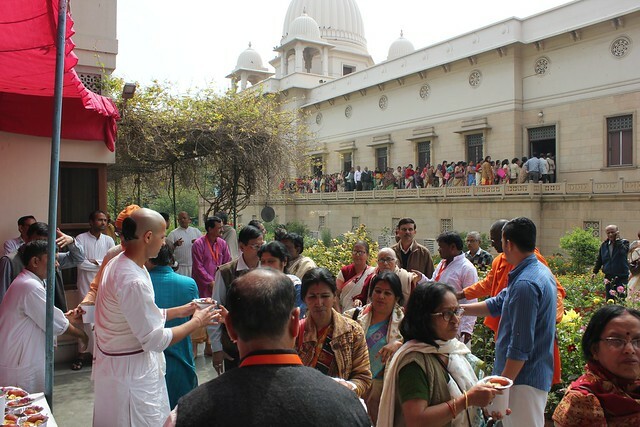 During Usha kirtan all devotees went on a parikrama of the temple precincts. 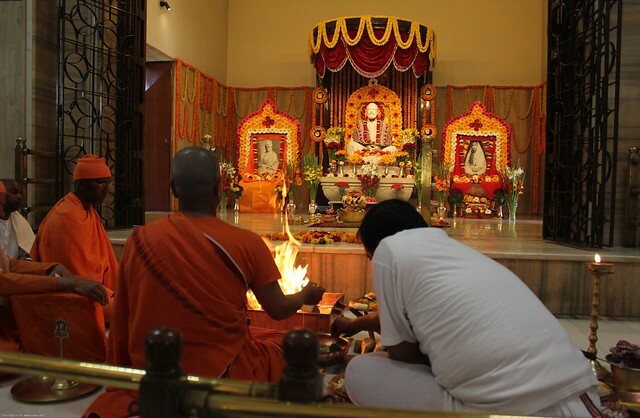 The special puja of Sri Sri Thakur started at 7.35 a.m. 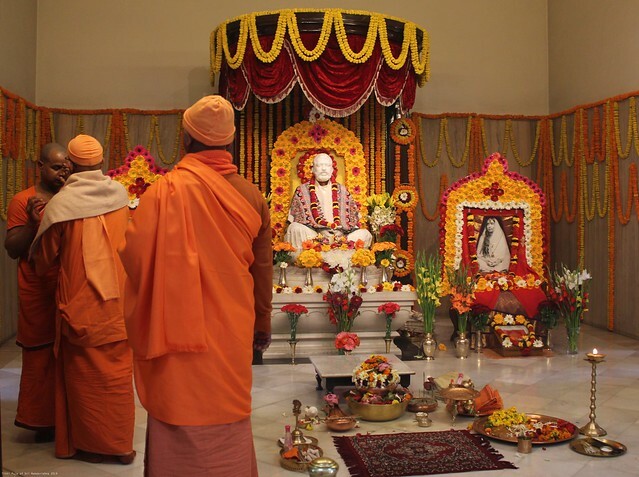 The puja was done by Swami Amritamayanandaji Mj. 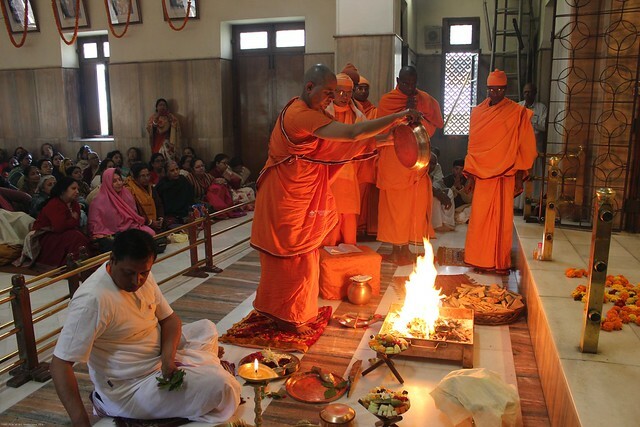 At the same time Chandi Path was done in the Shayan Ghar by Swami Dhruvarupanandaji Mj. 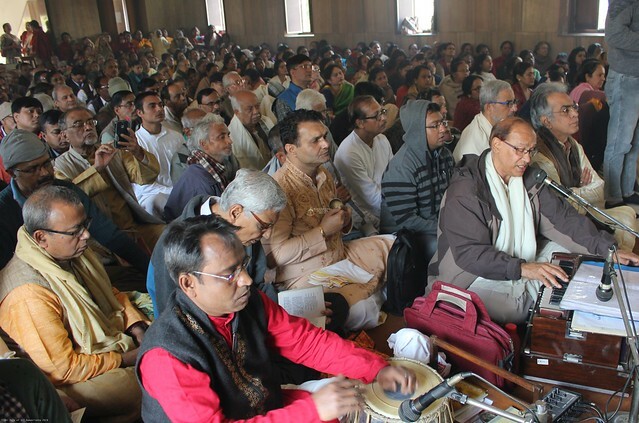 The bhajans on Sri Sri Thakur in the early morning when puja started were rendered by Shri Chandra Nath Mukherjee and Shri Champak Chatterjee, both accompanied by Shri Siddhartha Bhattacharya on tabla and Shri Ramesh Dwivedi on manjira. 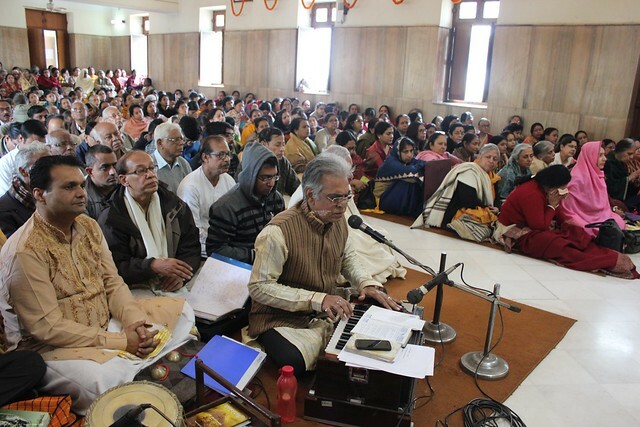 Afterwards Revered Secretary Maharaj also rendered a few devotional songs till the start of Homa. 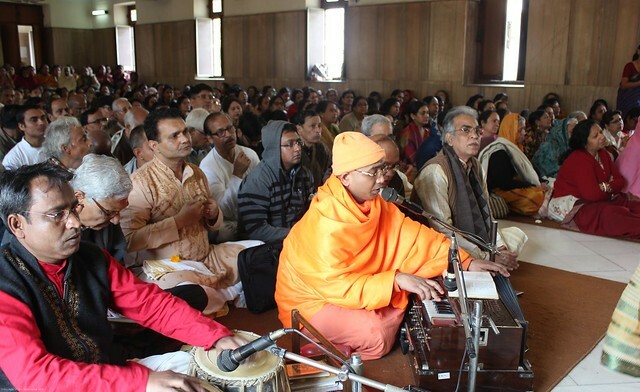 Then, after homa and pushpanjali Swami Dhruvarupanandaji Mj also rendered some devotional songs. 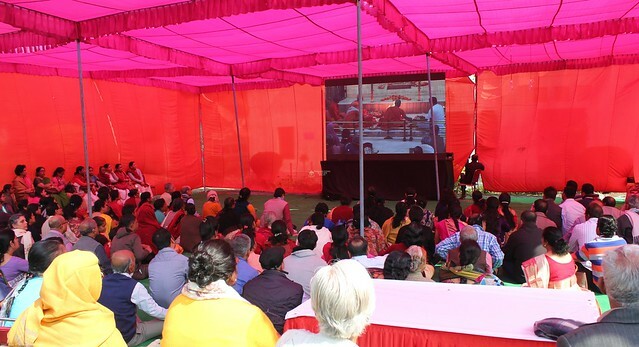 Arrangements were made to show the temple programmes in the pandal with the help of a giant LED Screen. 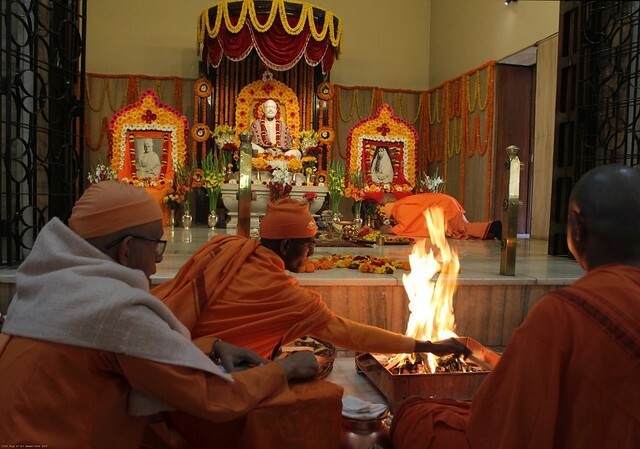 The special puja was followed by Homa. 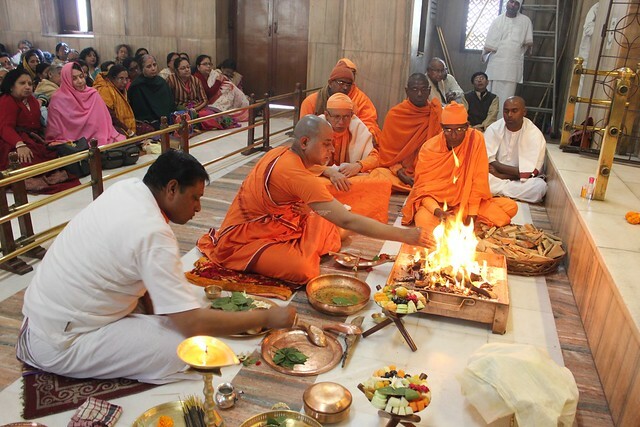 Homa was also performed by Swami Amritamayanandaji Mj assisted by Rev. 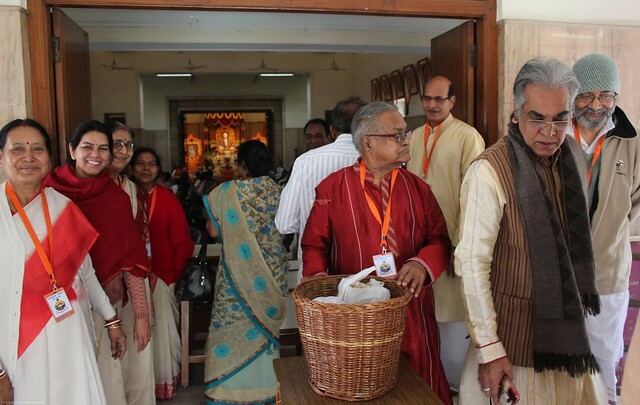 Secretary Maharaj as Tantradharak. 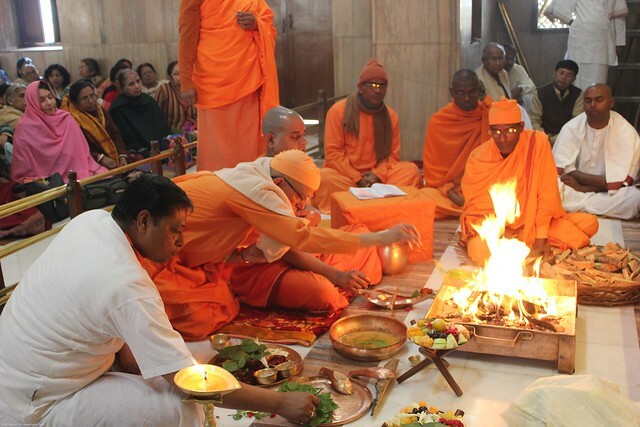 On the completion of Homa, Pushpanjali was performed by all devotees as administered by Rev. 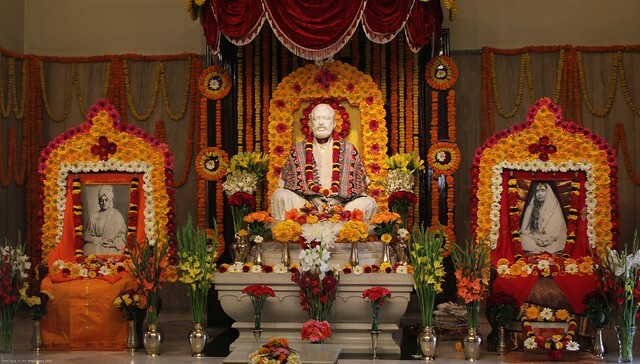 Secretary Maharaj. 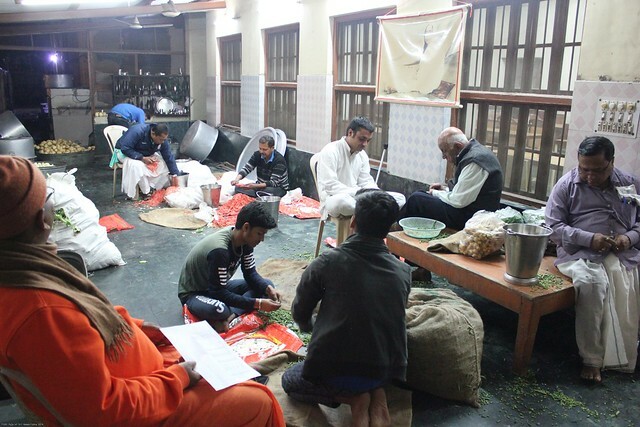 After Pushpanjali, when the doors of the sanctum sanctorum were closed for offering bhoga, Rev. 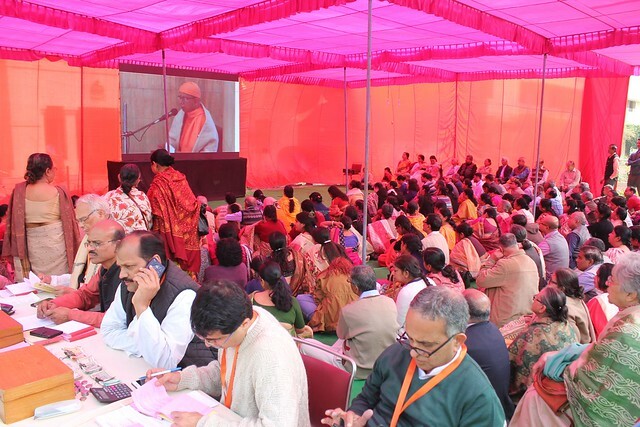 Secretary Maharaj gave a brief discourse on Sri Sri Thakur and Ma. 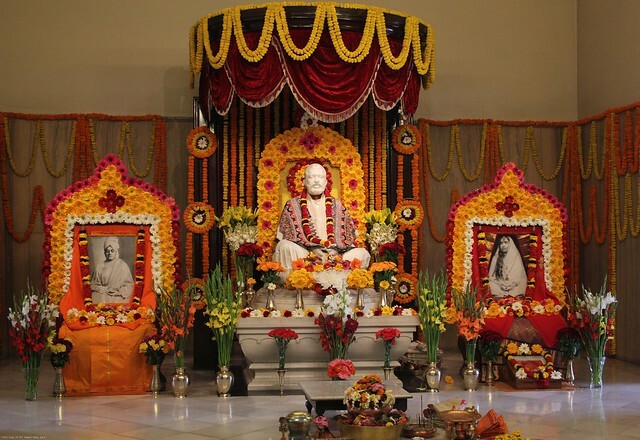 The Arati was done by Swami Amritamayanandaji Mj and Arati songs in chorus were led by Swami Dhruvarupanandaji Mj. 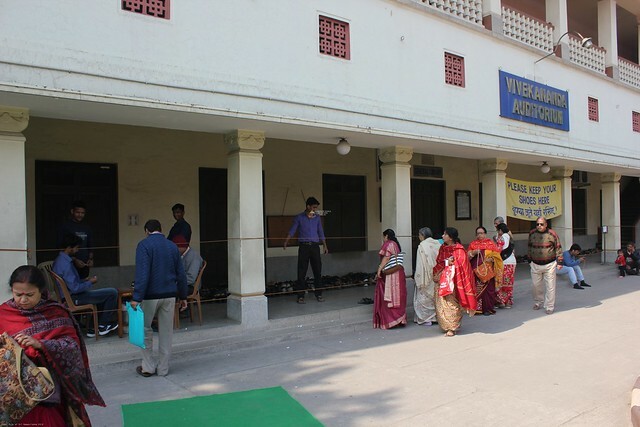 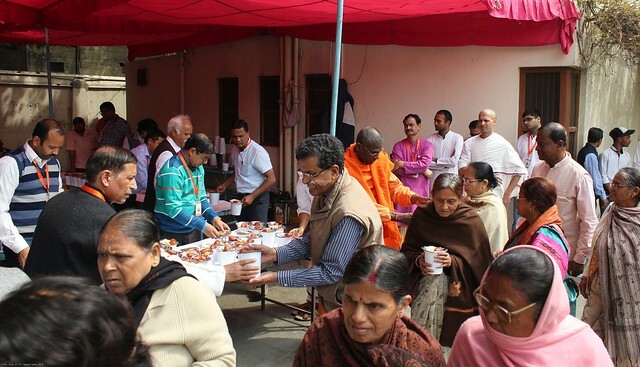 As a large number of devotees both inside and outside the Temple were to offer pranams to Sri Sri Thakur, Ma and Swamiji, the Temple was kept open for some time more all the devotees offered pranams to the Holy Trinity. 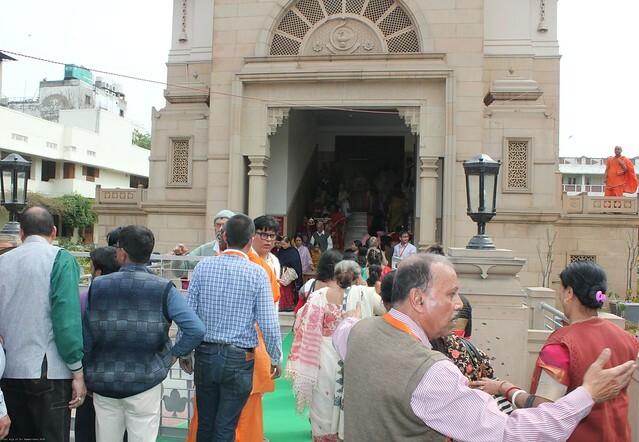 Sri Sri Thakur, Maa and Swamiji, the Temple was kept open for some time more and it was finally closed after all the devotees offered pranams to the Holy Trinity. 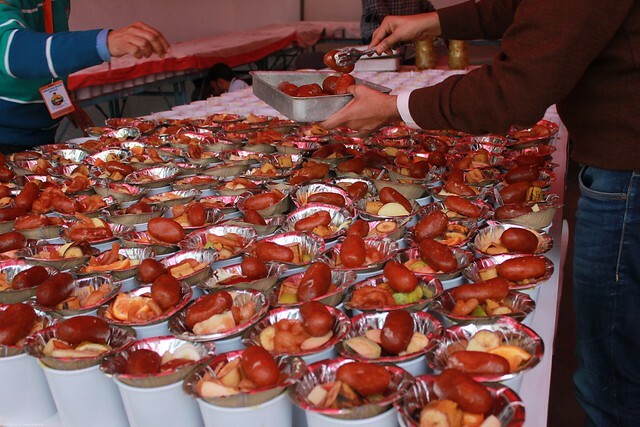 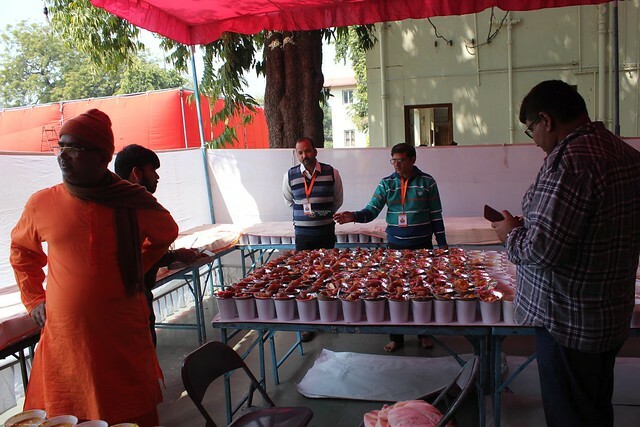 After puja cooked Prasad was served to devotees.